Exciting winter fun on the hardwood. 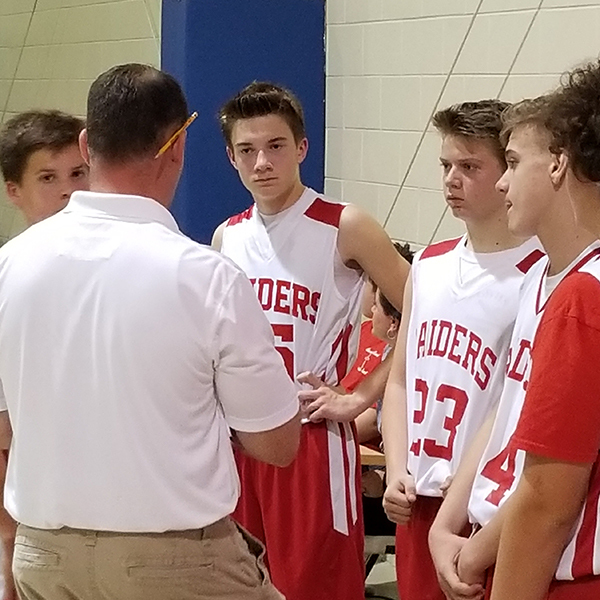 The Sacred Heart Middle School basketball team carries a tradition of teamwork, strong play, and great sportsmanship. 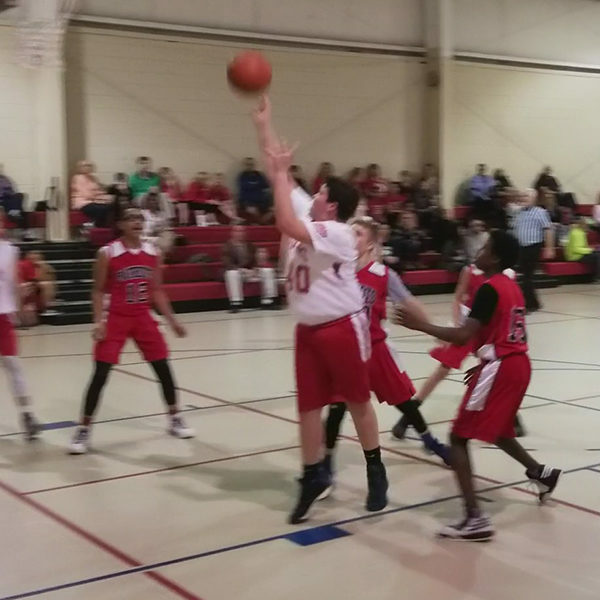 Sacred Heart Catholic School’s middle school basketball team is an exciting winter sport. The team has a strong competitive tradition and home court advantage. All boys in grades 6 to 8 are welcome to play. Coaching focuses on the team concept and good sportsmanship. The team maintains a tradition of excellence. 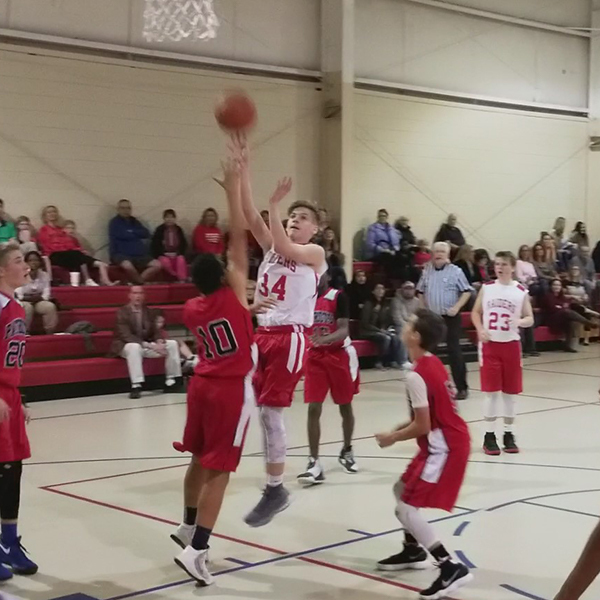 In 2013, the middle school basketball team went undefeated and won the B Division of the annual Faith Christian Academy tournament. They won the B Division again in 2017. In 2015, the team took third place overall in the tournament. Over the past six years, the team has won 35 of 55 games played, a 64% win rate. 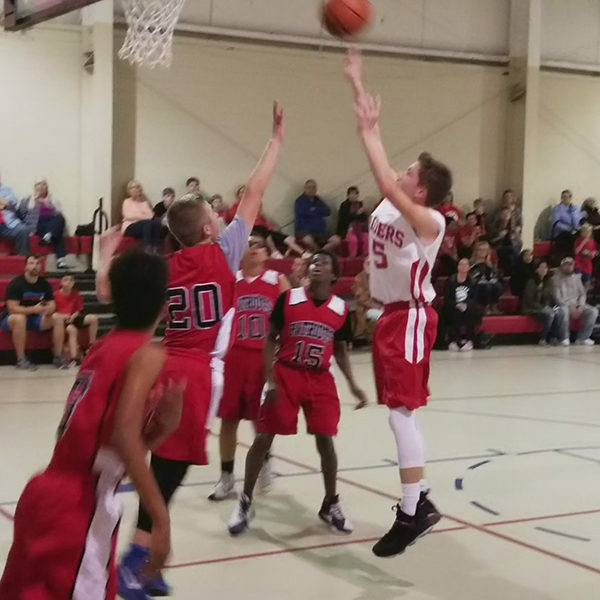 The middle school basketball season begins mid-November and concludes in early February. The team practices approximately 3-4 times per week for an average ten game schedule. Games are generally scheduled for Tuesday and Thursday. Team uniforms and equipment are supplied by the school. A $25 athletic fee is required. The fee covers the entire season, including transportation to/from away games. Interested in playing for Sacred Heart basketball? Ask us a question. Contact us at 434-793-2656 during regular school hours or anytime at Request Information.